"2 Bad" (from Michael Jackson's Ghosts) was, in my opinion, the hardest job I have ever done. Michael Jackson wanted me to take the human body had not gone before. He insisted that we push the boundaries of the unknown. From the moment he woke me up at 03 or 04 in the morning, I was on a mission. We twisted and contorted our bodies searching for the perfect step. I remember Michael saying that dance is everywhere, we just have to find it. We're on it. Michael didn't just push boundaries he went pass them. That's why all of Michael's videos and music look and sound as if they could've came out just yesterday. People of all ages listen to MJ's music and watch MJ's videos just as much as they do any current artist. Michael's longevity, and talent is unparalleled. To me, one aspect why his dance was so beautiful is the elegance, precision and intensity of his moves. His (excellent) background dancers always look a little bit like they are doing some workout. Not Michael. The dance just comes to him. Agree totally, and also the perfection is enhanced by the fact he appears to be enjoying himself with the dancing. It is like what he said about the Moonwalk in 1983. "I just put the song on and let it talk to me". I feel like he is being inspired by the music, his talent, his eagerness to be the best and please the audience and probably also God. Michael Jackson knew how to push and break boundaries when he danced. From the Moonwalk to the lean that he does in Smooth Criminal to everything in between. I mean he made it look easy when it really wasn't. His talent for dance just came natural for him. Even when he was just a boy he was doing sophisticated dance moves that he watched from James Brown to Fred Astaire, and doing them well. He was a natural when it came to dance. I wish that I could dance like that. When people watch Michael Jackson in awe, a miracle happens. They experience a moment when dance offers them something exciting and incomparable. Practically everyone who seriously considers Michael’s dancing will surely note a certain mysterious, unique quality in this entertainer that makes his art inimitable. Thousands of people have learned many of Michael’s distinctive moves and steps, but no one can perform them exactly the way he does. That’s why all attempts to imitate him (even by professional dancers) are doomed to failure: any Jackson impersonator is a surrogate in the eyes of ardent Jackson fans. To me, the legions of Michael Jackson impersonators imitating his dance moves are pure profanation. His bodily presence and emotional expression on stage cannot be copied. He is recognizable by the tiniest nuance, not to mention his one-of-a-kind energy. Even if a dancer can brilliantly perform the same dance elements, it’s impossible to copy Michael’s hand. In this regard, those impersonators who use Jackson’s style simply as a basis for their own variations and improvisations have an advantage. Their dancing always looks more interesting, alive, and skillful than an attempt to precisely replicate his movements, which is practically impossible in dancing. Jackson cannot be repeated, copied, or imitated – just like any famous dancer cannot be duplicated. Let me return to the beginning of the conversation and say that, like any truly brilliant dancer, Michael stands out for his spiritual essence and spiritual approach to dancing. His dance reflects the very religious component mentioned earlier – not in the sense of expressing any religious doctrine or belief, but in the sense of his spiritual and emotional approach. First, Michael is not just a performer. He is the creator of his dance. He doesn’t do something he simply learned by imitating a choreographer. Even when his dance is carefully choreographed, he remains the creator: his dance comes from within, not from other people, regardless of who he collaborated with during preparation. Lots of choreographers and dancers participated in his projects, but the dance team and Michael are altogether different, although his dancers are always professional and excellent. Still, he invariably stands out, through both his manner of dancing and his inner feeling of the dance. He dances in the flow of free creation. It should be noted that even the moves he performs on stage over and over again are not mechanically repeated like a stuck record. No, he can continue any of his dances by free improvisation at any moment. And it never looks out of sync with his personal style; instead, it opens new facets of his fathomless inner creator. This is what no impersonator can do. Only the creator of the dance can update and renew his dance naturally and improvise freely, and still be himself. No one else can plunge into his sacrament. This is his personal domain, just like every person has his or her own body and his or her own place on Earth. Michael Jackson stands out among all stage performers of his generation and those that followed. It is often said that many pop entertainers draw on Michael because he created a standard. Still, many seem to draw on the wrong things. Michael was notable for his absolute belief in what he was doing. He always had a sincere and sparkling artistry, while contemporary pop performers mostly look like beautifully designed clockwork dolls and not charismatic entertainers. I don’t know why this is so, but I suspect the trouble is not in a lack of talent but in the fact that the pop stage has once and for all taken to manufacturing an average glamour ideal. Mostly, these new “stars” create an impression of Barbie dolls: all of them pretty, all of them capable, but lacking passion… Nothing exciting is going on. There is nothing that can shock or surprise us anymore – all revolutions are past. That is the overall feeling. Honestly, it’s sad to see that they are deprived of a true, live creative process and consciously make a product of themselves. A product and not a creator, even a small one. It is strange that the industry keeps dictating this kind of taste and selecting this kind of material for its star factory. But after all, a genius is only a genius if it is rare. When Michael Jackson hit the stage, he danced in ecstasy. And it’s obvious to the spectator. All the best dancers and musicians enter a peculiar state of mind when they create. Art in its highest form is impossible without the ability to work with the subconscious, and without using altered states of awareness and intuition. Without this, it’s not art but simply cheap craft. Michael Jackson added one more important component: a spiritual message. The ecstasy of his performance is most striking during songs such as Man in the Mirror, where the goal is to encourage people to discover their own inner power for positive change. Even though it’s not a rite of a church or a cult, the framework remains the same: the most powerful emotional splash is aimed at changing one’s awareness and state of mind, as well as the surrounding reality. Such absolute belief in the power of art to change consciousness, and such complete devotion to the execution of his art can perform miracles with thousands of people. This is what sets Michael apart from other dancing entertainers. Some are still surprised that a mere pop singer has been declared the greatest entertainer of our time. I can say that he, like no one else, is worthy of this title, for the true role of an entertainer is to pass divine ecstasy to people, to change their state of mind, to astound them with his own example, and to touch many hearts by finding dramatic artistic forms for achieving all of the above. It’s not the voice or the technical mastery that makes an entertainer a miracle, nor is it following canons of good taste or belonging to an exalted genre. No, the miracle happens where there’s charisma and a skillfully designed performance bearing the maximal charge of spiritual energy. A true entertainer combines natural artistry, outstanding personality, passion, creativity, and devotion. No performer was able to embody all this to the same degree as Michael Jackson, with his distinctive originality. We could argue about the artistic merit of his songs or technique, but no such critique would reflect the importance of his personality on the history of art: his individuality, the perfected and memorable image he created, and his creative and human charisma manifested in the exceptional love of his numerous fans. Even scandals and mass media frenzy did not turn millions of people away from this miracle. And it’s not an abstract, thoughtless fanaticism at work here. Rather, this man totally gave himself up to the stage and the people, working until he could work no more, and distributing his energy. His devotion gave rise to the same devotion in return. We must realize that advertising and promotion play no role in this. Advertising only works until you remain one on one with the audience. How long would you last if you were not capable of anything? Hence the endless line of short-lived bands and stars who shine only on the paper of long-gone posters. Michael had the skill to draw the attention of crowds, and he had this skill even in his early childhood when there was no advertising. And it’s another thing entirely when you can not only draw attention, but win the love of millions of viewers across the world – and not just the love of teenage girls, but the lifetime devotion of people of any age and generation. 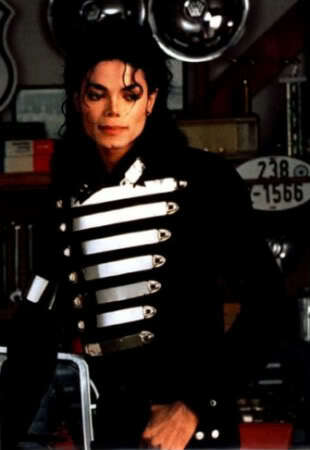 I saw Black or White for the first time in its full version in the early 1990s, when the video had just been released. I wasn’t really interested in Michael Jackson at that time. I was very young and far from mass culture. My idols were representatives of “high” dance genres: great performers of ballet, flamenco, and other classic traditions. However, the second half of Black or White, commonly called the panther dance, shocked me. 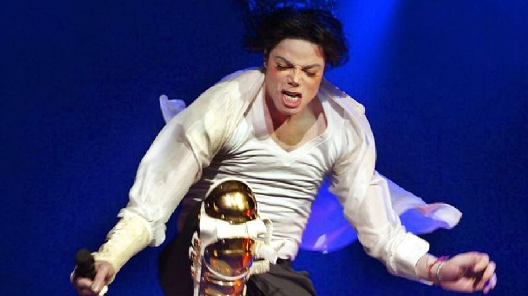 I still believe it is one of Michael’s best dances – a pure torrent of aggressive passion, even if played for the camera on purpose. It is the kind of improvised dance that goes back to dance’s original source. It is an absolutely unique case in contemporary pop culture of true, passionate, and spiritual dance; it cannot be seen anywhere else in this sphere. In most instances all we see is gymnastics or vulgar hip swaying, while the elegant tap of dancers like Fred Astaire has become a thing of the past. Real, pure ecstasy is virtually absent from the pop stage. After seeing the video I wanted to say, “Bravo, Michael!” even though I wasn’t a fan of his at the time. In just a few minutes this man, the only person in the pop sphere who possessed this primordial sincerity, did something vitally important that had not been done by any stage performer with international fame. He placed ecstatic improvisation in the spotlight, featuring it in the video that apparently had no relation to it and was built on positive themes such as boyish jokes and uniting nations. The contrast was striking and even wild, incomprehensible for the common viewer, causing wide controversy and even hostility. Perhaps such a contrast and the contradictory design of the short film were created by Michael intuitively. Perhaps he hoped that his stream of consciousness would once again shock the public. If you look at the history of youth culture over the past 40 years, there’s nothing new in Michael’s behavior in this dance: objects were broken on stage and daring sexual movements were performed long before him. In fact, many rock musicians routinely smashed their guitars or even set them on fire at the end of their concerts. So Michael’s breaking the glass of a derelict, abandoned car was nothing, compared to what rock musicians had been doing before this video appeared. I should also note that there’s nothing new in the choreography. Michael simply produced a mix of his usual repertoire, starting with elements of classic tap dance and ending with his famous waves and crotch grabs. It’s what usually happens in any improvisation: a flow of habitual moves and then a couple of inspirational flashes when the body does something new that you notice only when watching the recording afterwards. Being quite conservative myself, I nevertheless see a clear difference between all of Michael’s “crotch activity” and regular vulgar manifestations of modern culture. The content is different. For him, it’s both daring behavior and an echo of his African roots. I think he loved teasing the public (I would love to, certainly, if I were in his place) but all this is more neutral than people think. The meaning has to be looked for in the nature of African dance. I will return to this topic a bit later. For now, let’s get back to the structure of the Black or White short film. The name itself suggests a few interpretations. On the one hand, Black or White clearly addresses outer, racial differences. This is the meaning on the surface and the story the song tells. But I always liked to consider it from another point of view as well – the “black” and “white” of a human soul. The first part, the “respectable” side is white. The second is black, evoking darkness and a black panther. Often we are scared of our dark side and repress it, hiding it deep, hoping to be better people. But surmounting our dark side is impossible without first acknowledging its existence and actively working to understand its nature. In other words, we need constructive dialogue with the evil spirit… The Duende of sorts. Whether Michael realized it or not, in that dance he released something he had accumulated in himself. This was complete emancipation. And it didn’t matter whether it was decent to do or not – the important thing was to pour out the energy of liberation. This is the struggle the Spanish dancer faces when possessed by the Duende. You never think of decency or handsomeness in such a moment. You have to be extremely open and violent in your passion and pain. Although I know the black panther as an important symbol in the American civil rights movement, it also has an ancient meaning, a mystic connection to a violent and primeval spirit of the animal. I would even say it carries the echo of totemism. At the same time, it represents the opening and release of the inner devil hiding in all of us, letting your panther out. It’s a trope as old as the world itself, and that’s why it works. Michael generally referenced a lot of archetypal images in his art, which made it extremely rich and fascinating – unlike many of the sickly-sweet pop images of the modern stage. It includes his elusive and mysterious love of the Moon, which lent its name to his choreographic specialty, the moonwalk. By pure intuition. Fred Astaire once said to Michael, “You’re an angry dancer,” and this statement is accurate. This doesn’t mean an evil anger, but passion – the passion of performance – something frenzied and devilishly attractive. The mood of the dancer strongly influences what the body does. You have to know how to pour your feelings and energy in movement. Only then will the dance be the dance. Without it, it’s just calisthenics. And if feelings are merely portrayed through facial expressions and not truly felt, they will look grotesque. We should remember that in art, spirituality is primary, and technique is secondary. Sports are different – in sports, technique is primary – but dancing is not a sport. Michael Jackson had what it takes in terms of artistic gift. Many of his moves looked so brilliant, smooth, and talented not because he was technically skilled (although he was certainly capable) but because he lived through every movement. His entire being participated, including his subconsciousness, producing this perfect union of plastique and music. Unfortunately, this is not something one can learn. This is natural talent. By the way, Michael was not the most technically proficient dancer in the world. He never performed jumps with splits, never hit fifty steps per second and never did 32 fouettés in a row, although sometimes he did things amazing for a human body. Without a doubt, there are many contemporary dancers, especially young ones, who do what Michael could never have done. But even so, we call him great, and those other dancers are just common extras for us. Why is this so? I’ll say it again: the reason is the artistic gift, the energy, the shamanic sorcery and charisma. Grandeur on stage starts not when the dancer can do a somersault flying three meters above the stage. That is circus acrobatics. Technique is only a means used by the art of dance. Talent in this art form originates not from technique but from the ability to speak and paint with your body, to express nuances and find an individual style of your body movement. An artist achieves complete grandeur in dance if he can transform a tiny gesture into a small spectacle, a sacred act. Michael Jackson knew how to do it. That’s why he was a genius. I remember how it jarred on me when I heard people talk about his excessive fame. They argued, for example, that the moonwalk wasn’t even created by Michael himself but was Marcel Marceau’s move. Well, if we dig into history, we discover this move existed long before Marceau. Also, being a dancer myself, I can say that the moonwalk is just a fetish in an individual dancing style – the Michael Jackson dance. There is an interesting trick in choreography, used by many, that involves finding an original memorable move and showcasing it at the culmination of a performance. This move has to be unique or funny, but it doesn’t have to be technically complex. To find such a move can be a merit in itself – because it’s not easy. This is the case of the moonwalk: it is quite a simple movement that can be learned by any person who can more or less control his or her body. I don’t refer to the advanced versions, such as the side slide or circular moonwalk – those are more difficult. But the classic moonwalk (i.e., walking backwards) can be performed even by an amateur. Yes, it is unusual, and you have to understand the principle of the move to repeat it. But that’s all it takes. Michael’s dancing demonstrates so much more serious plastique and technique that, compared to them, the moonwalk is just a trifle. Look at the way he controls his body, his coordination, his sense of rhythm! And his spins! They are simply incredible! This is something only a very gifted professional can do. Still, the moonwalk is the move that people call “sensational.” That’s a purely social effect – instigated by artistic wit and a talented choreographic choice. To perform such an odd element at a historic Motown anniversary, to make it memorable and pour so much energy into it – it paid off. When journalists talk about Michael’s dancing, they usually cite the moonwalk as his special achievement in dancing technique. The moonwalk may be a historical event; however, it’s not his main contribution to the art of dance. His contributions extend far beyond that. They are not just in specific elements of dance, but, first and foremost, in his prominent style, his rich and expressive body language, and his unique approach to dancing. There’s a multitude of dance steps and techniques in the world, and new ones will continue to appear endlessly. The sky is the limit. Still, history memorializes those dancers who could create something special on stage that would make people lose their minds, love, cry, rejoice, and empathize with the dancer. This is the most important element of an entertainer’s work. If you can set a spark and kindle a fire in your own heart and the hearts of the viewers, then you are a master. All the steps and techniques simply serve as an instrument to create that effect. It is their harmonic combination in a single organism that’s important, just like music is composed of seven notes in various octaves. Some music can move and amaze you, while other music simply doesn’t. The same is true for dance. Ghosts is another interesting film. Its choreography complements the story, and does it vividly, showing many innovative dance moves. In fact, I believe its greatest achievement is the imagery created by its choreography. Ghosts is often compared with Michael’s famous Thriller video because, at first glance, it seems to be simply a repeated use of a successful horror movie theme. However, unlike Thriller, this film addresses a deep philosophical subject of the relationship between the artist and the audience, between an outstanding personality and average men. Just as importantly, it also provides a much wider space for choreography. In fact, Thriller has only one short dance piece, which is staged in such a way as to preserve the balance between professionalism and simplicity. On one hand, it’s a great theatrical work where dancers have fun playing various zombies. This gives them a chance to display their flexibility and expressiveness. On the other hand, the Thriller dance is the one most often used for MJ flashmobs, and the reason is not just the immense popularity of the dance but also because its choreography is fairly easy to learn – at least approximately, if not perfectly – so a large group of amateurs can dance it more or less together. The dance pieces from Ghosts are much more difficult and require much more skill than the moves from Thriller. The characters are given more screen time and a better opportunity to show themselves. This dance has a lot more choreographic innovations and oddities, dramatic elements that create an illusion of strangeness around a group of ghosts from beyond. Michael himself plays a few different roles, and each of those roles slightly refracts his plastique to fit the current character. For example, he performs his signature dance moves in a typical and very recognizable way while creating the skeleton dance (with the help of motion capture cameras) just to help the audience understand who dances in that skeleton image. But when he uses a similar set of moves while dancing in the role of the fat mayor, he adds a lot of irony, and the dance becomes comical. Then, as he plays himself, the Maestro, he doesn’t go for clichés but displays a number of innovative elements never seen before, which make the choreography in the film absolutely different than any of his previous dances. The final issue I’d like to address are Michael’s skills as a dancer, and whether he lost some of his skills as he became older. Unfortunately, I have heard such opinions regarding his last performances in This Is It. I’ll put it this way: there are many ways to look at a dance, but we always have to remember that the dance is an art and not a sport. I have already said this, but it’s important so I will say it again. In fact, it is the main thing. Dance is an art, and not a sport. Certainly, dance is closely connected with the body, so physical conditioning and technical ability are factors when judging a dancer’s performance. Some technical aspects are more important in ballet, some others in folk dancing, and still others in dancing on the pop stage. Still, whatever the importance of technique, we have to start with the artistic content. Technique comes second. This does not deny the necessity of certain basics in performing this or that move. But we are talking about mastery by a great star, and not about beginners. In Russian ballet, dancers retire at 38. Can you imagine? Not at 50, not at 45 – 38! Of course, the workload is enormous. That is why an early retirement age is specific to classic ballet and not a common rule for any type of dance. Still, we need to remember that there is such thing as retirement at 38. Naturally, some ballet stars dance a lot longer. Maya Plisetskaya still performed when she was 70. But everybody understands that age gets its way. Such an artist would not give many performances, although tickets may be in high demand because people want to see a great star both at 20 and at 70. They want to see individuality and content, not a perfect fouetté. Individuality is the main thing in the artistry of dance, and the chief element in the star’s performance. I’ll give you another example: in flamenco, people dance until very old age. There is no retirement at 38. In fact, I’ll go even further and say, in general, their career starts after they turn 30. No one can wave away the physical changes of an aging body – still, the Spanish dance even when they are fairly old because, again, the main thing is artistic content. In flamenco, spirituality and artistry are more important than technique. That’s why older dancers are sometimes appreciated more than younger ones: they have something to say when they get onstage. This is an art of mature people. You can only achieve success in this art when you have sufficient life experience. And it is very important to be a personality. To get onstage and tell the audience something, you have to be different and stand out from others. I’m saying this to highlight the difference not only between the primary and secondary elements in art, but also between the skills of a master and the skills of common performers. It is important to understand that sometimes a master is outstanding not because he is able to do something requiring great physical effort, but because he does it in an incredible and unique way. Common performers often get you by doing a very high leap or perfectly learning a sequence staged by the choreographer. Both cases, indeed, are professional. But this professionalism serves different purposes. Michael Jackson is a pop dancer whose work fell into the category of performing arts, and not sports. As in folk dance and classic theater, he created a meaningful dialogue with the audience and with God. This was his main message; this was what he brought to the public – both intuitively and quite consciously, like a professional and an original artist. He was 50, yet his plastique was perfect. What else did he need to be able to perform in his genre? Nothing. Yes, I believe he wasn’t able to dance for as many hours in a row or with the same energy as he did when he was 20 or 30. To be a healthy 50-year-old man on stage is still not as easy as being on stage at 30 – there is a difference. But he didn’t need to put in so much effort. Marathons are for young ones. Michael only needed to show his individuality, his plastique, temperament and passion. And that’s all. Do I need to say that he did have it all? I could go on and on, but it’s time to finish. I have painted a picture to which you can continually add more details if you’d like, because the subject of the art of dance in its global sense is inexhaustible, and Michael is a constant in it. I only hope that I was able to demonstrate the main elements of the picture. To summarize the discussion, first, let me repeat that dance connects the spiritual and the material, opening the mystery of all mysteries, taking our consciousness far beyond any limits and fetters. There are many good dancers, but only few of them are Artists and Entertainers. The genre and scale of popularity don’t matter. What’s important is how much the entertainer devotes himself to his art, to what extent he realizes his great gift and how much of it he shares with the audience. The gift is not just talent or brilliance. The gift is an opportunity to become a servant of dance with the help of your God-given talent, loving it and sensing its sacred and universal meaning. Michael Jackson was one of those dancing poets who loved the dance selflessly and brought its essence on stage. He brought a spark to viewers that took them beyond conventional limits, allowing them to connect with the sphere of frenzied energy, emotion and beauty that cannot be perceived by logic, but can only be felt. He could bare emotions and find incredible details in the stream of improvisation like only a rare dancer – and no other pop performer – can. The spirituality and aesthetics he brought on pop stage were unique and unprecedented. The complexity and yet the simplicity of what he was doing fused into something brilliant. In his genre, he will remain unmatched for a very long time. I’d like everyone to understand that, and not just his fans. I’m happy I lived in a time when he was alive. And I’m happy that I first saw him at a time when I could watch his videos without unnecessary commentary and judge him without that bias. Years later, it became the trend to call him “*****” and a monster, and then it was almost scary to admit that you liked Michael Jackson. Still, it never stopped me from seeing the beauty and spirituality of his art. The ‘Human Nature’ robot choreography (at the end of the song) should be listed in his most impressive (& pretty difficult) dance moves. For me, the way I sum up MJ as a dancer is like this: If James Brown and Diana Ross had a baby, it would be MJ. Last edited by Word Smith Sr; 08-11-2016 at 09:16 PM. Today, I watched the Victory tour Toronto concert. I was caught off guard by the "poetry in motion moment" after Heartbreak Hotel. The way he lowers his arms and dances while being accompanied by a piano and a keyboard is magic. Purple light and body language. Last edited by Word Smith Sr; 04-09-2016 at 09:04 PM. Can you point me to that moment? "Moving body is an art. Dance is the true expression of emotions by body movements. It's a wonderful thing to be on the floor, but feel free yet inexplicably, literally in the higher realms and do what you want ... It is an escapism, a way to get away from everything and just move your body to let all tension and pain to come out." Last edited by Silouette; 05-09-2016 at 05:24 PM. It is beautiful. I went back and watched it too. If you pull up the whole show it's about 26 minutes in. He dances to himself during the piano coda and then it moves to SOOML. I wouldn't say he was the best dancer but he was definitely up in the top ranks.